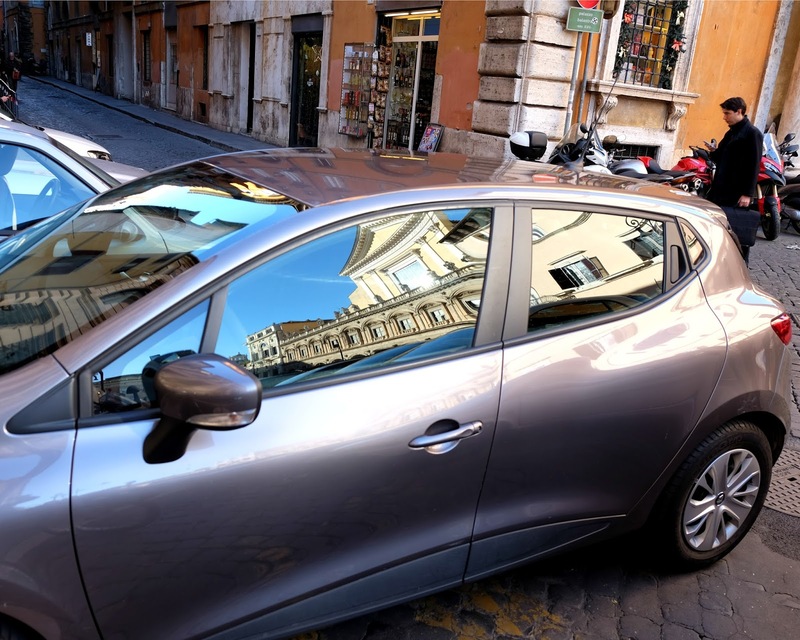 A very reflective car somewhere in Rome. 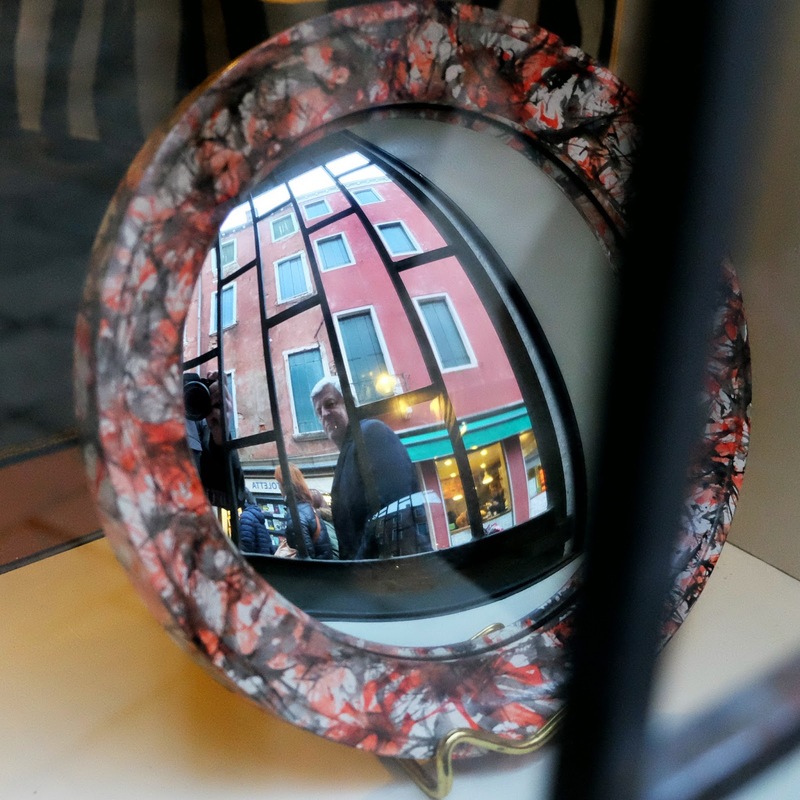 A Venice street scene reflected in a mirror behind a shop window. Like last week, this is a reflection in a window. 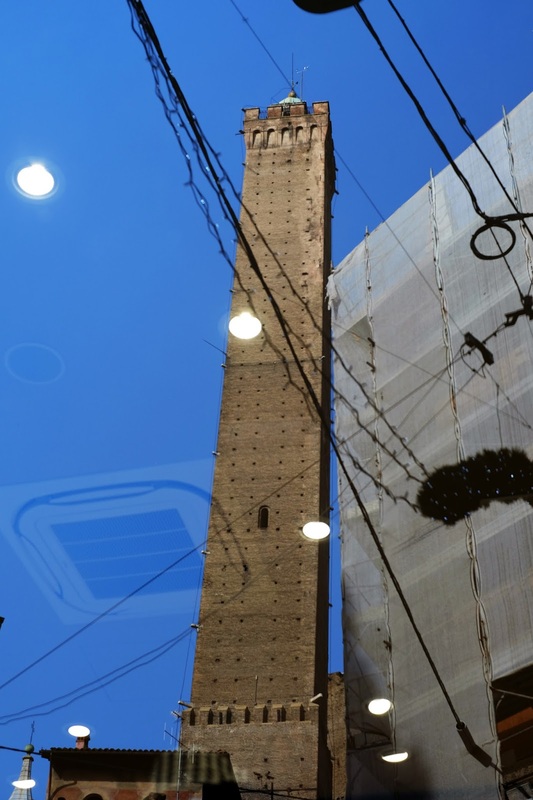 This impressive tower is 97 meters (318 feet) tall and was built in the 12th century. 900 hundred years old, wow! My wife climbed the 498 steps to the top and was rewarded with a spectacular view. Unfortunately, the blue sky and tower are not the only things reflected. There are also power lines and scaffolding. You can also see light fixtures and an air vent but they are behind the glass and not reflections. 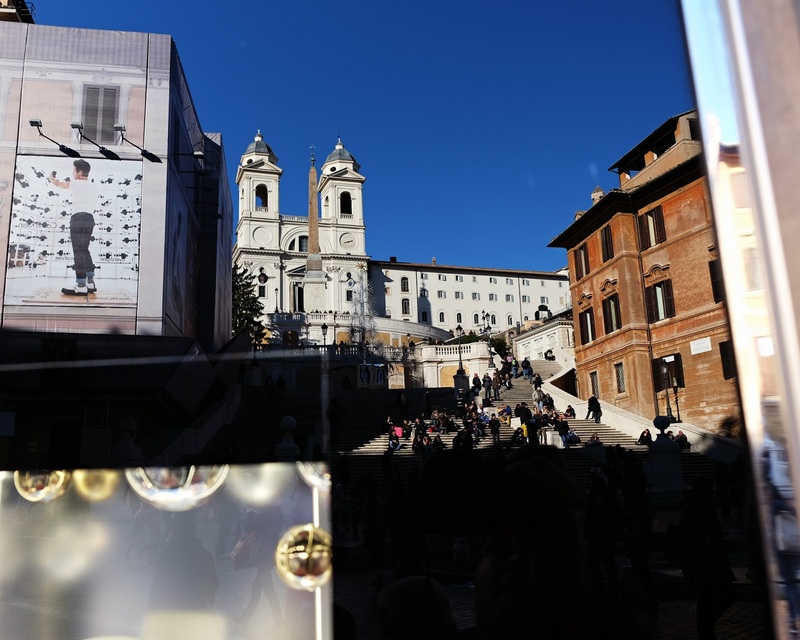 This is the Spanish Steps, Trinità dei Monti church and other buildings including Keats House which was under renovation with a false facade and a Calvin Klein poster. All of this is reflected in a Dior window. What might look like a strange floating head is actually one of several mannequins on the other side of the glass. 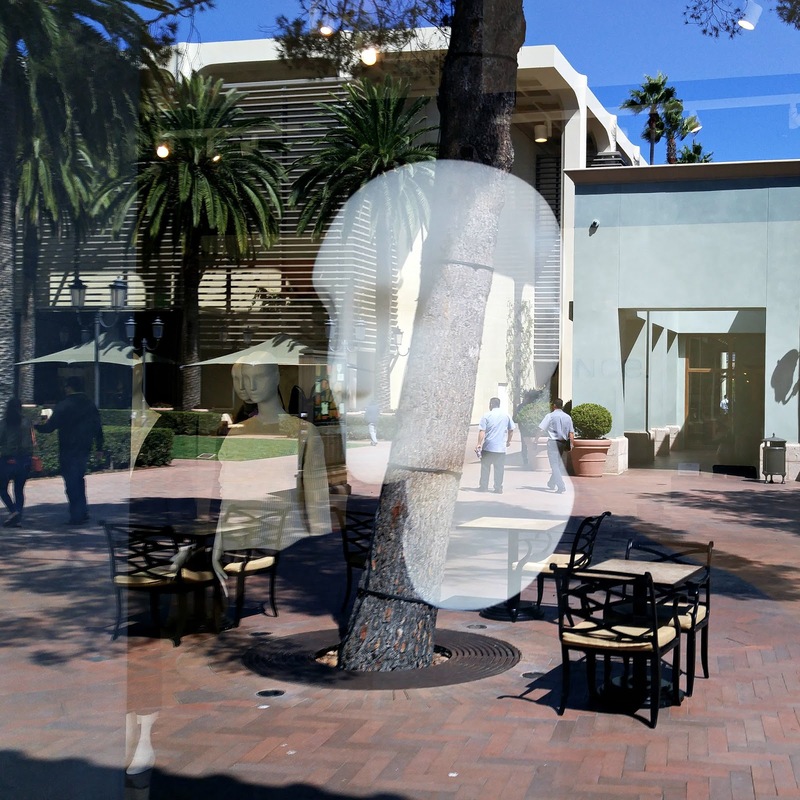 They are mixed with the reflections of trees and people at a shopping center called Fashion Island.